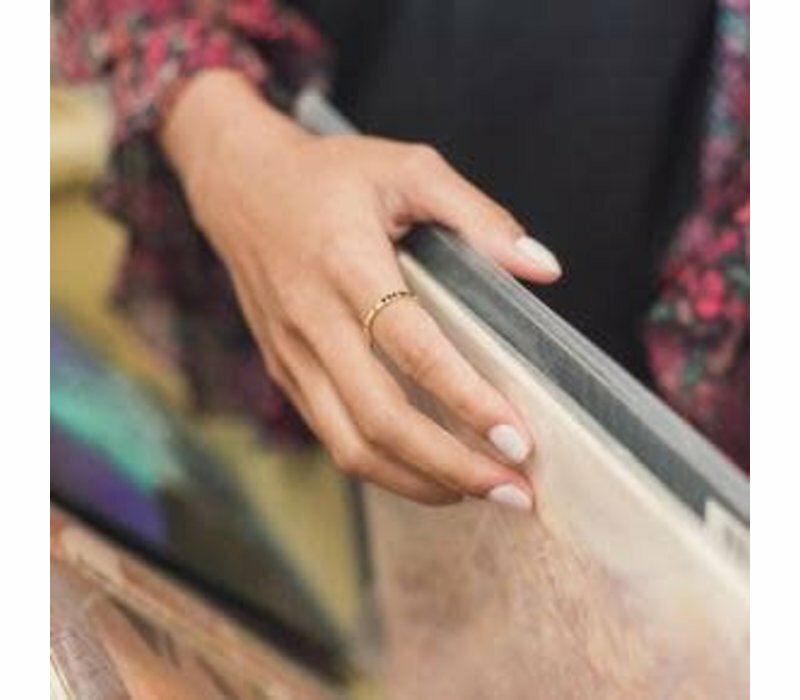 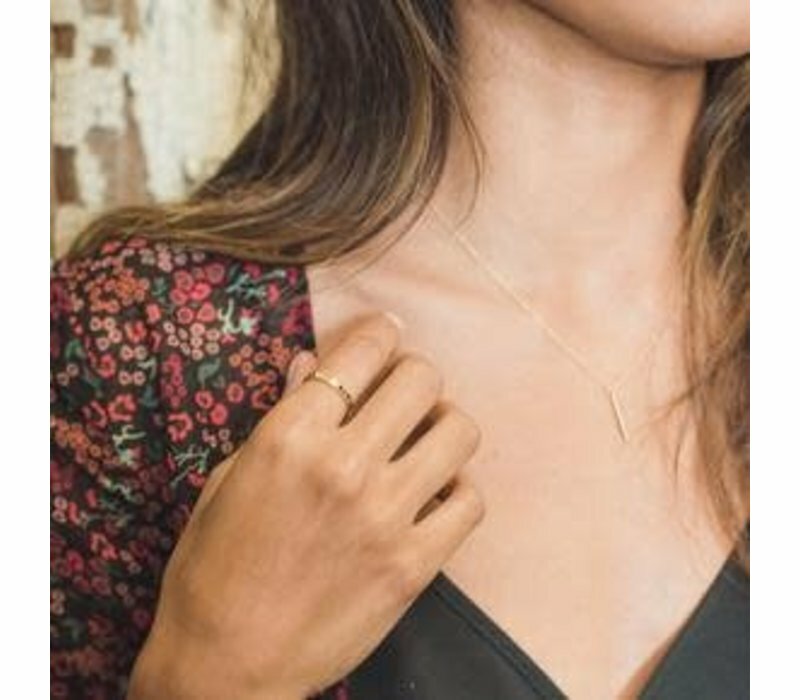 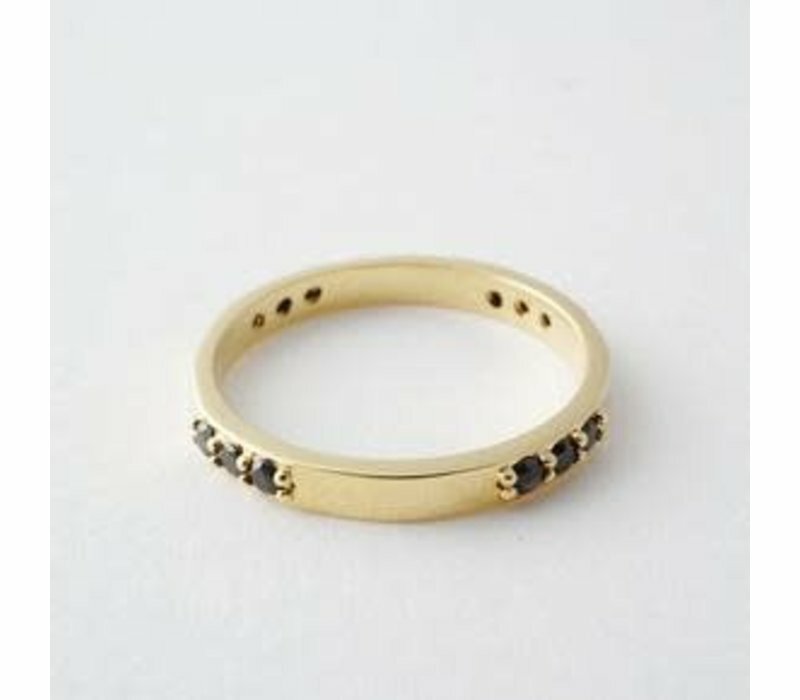 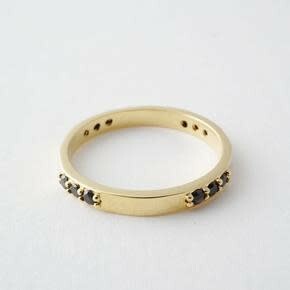 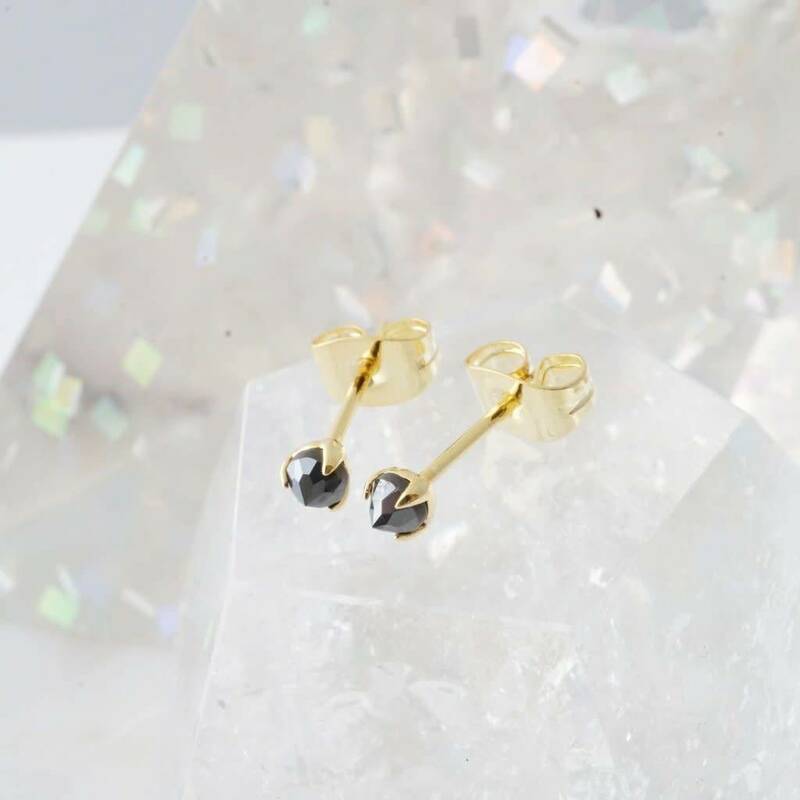 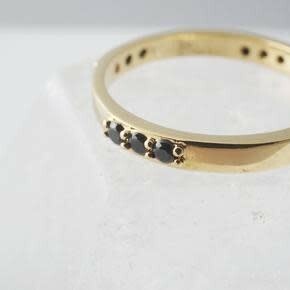 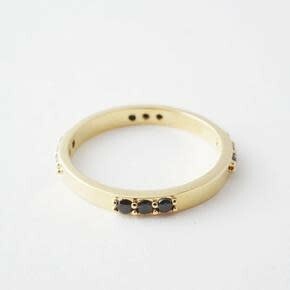 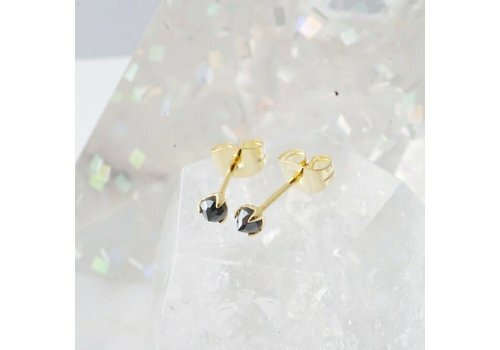 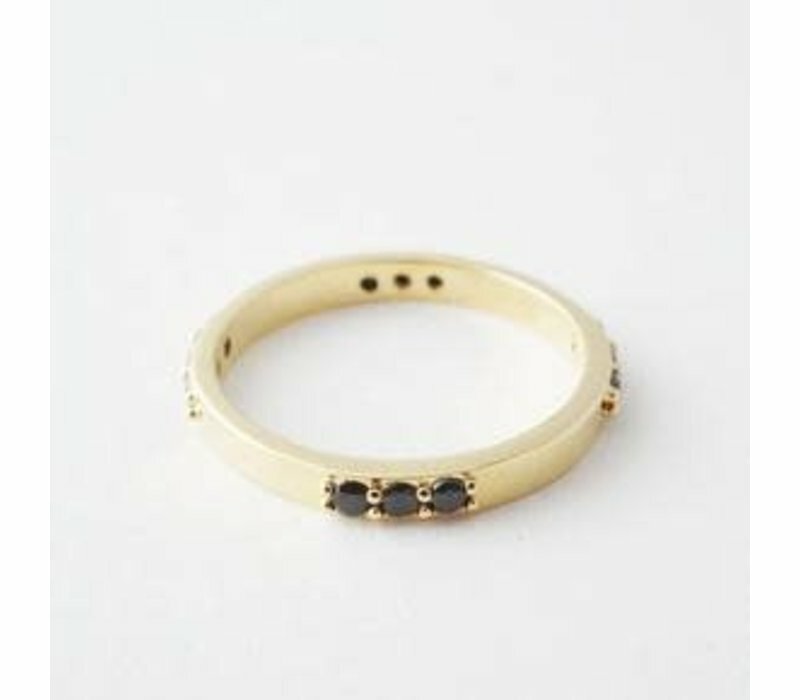 Contrasting, dainty, jet black crystals set in a 24k gold plated ring. 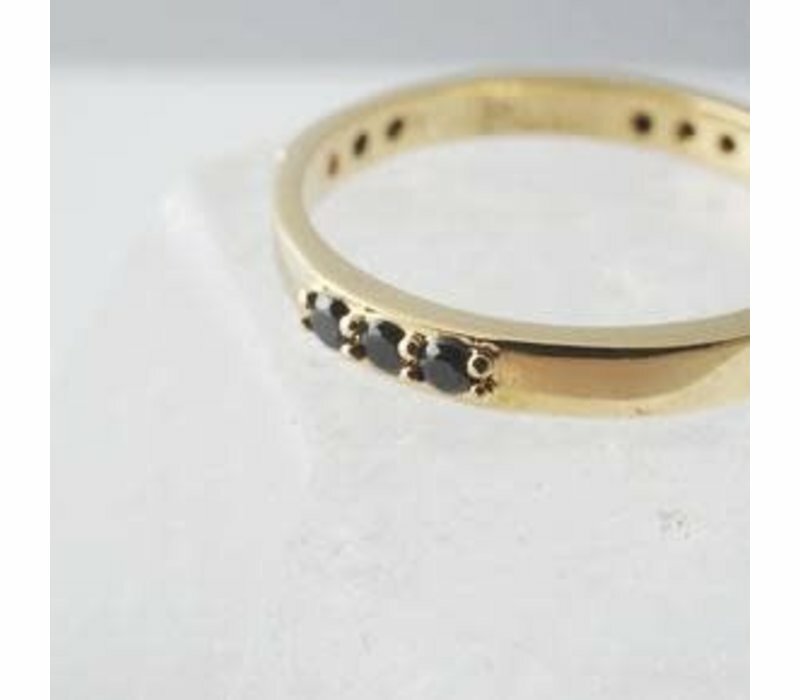 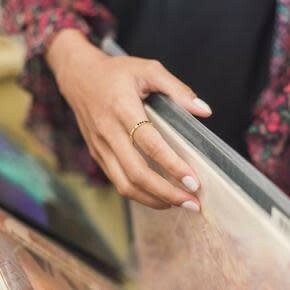 Band is 2.5 mm thick. Size 8.